Writers are always told to read, read, read, but sometimes we need a break. Luckily, many YouTube channels cater to creative individuals. If you don’t know where to start (or you’ve tapped out all the videos under “writer”), here’s my list of some great channels you should be watching. Run by a group of women who love to write, WordNerds is an exciting amalgamation of all things writing. Each day is a different topic, so you won’t be stuck listening to the same content over and over again. Currently, their featured video is “Our Husbands Describe Books” if that gives any indication of the types of videos they produce. However, you can also find tons of other videos, such as “Author Branding,” “Favorite Sequels,” and “7 Things I Do After Getting Rejected”. Furthermore, if you run through all of WordNerds’ videos or you want to learn more about the women, they have personal channels you can watch as well. One of the most popular channels on YouTube is Vlogbrothers, but that’s just a testament to how great their work is. Brothers Hank Green (musician and science geek) and John Green (possibly the most well-known YA author of this decade) sit down in front of a camera a few times a week to talk about anything and everything. While their content isn’t always writing-related, their videos can spark creativity and provide insight into some topics we aren’t familiar with. There are tons of videos spanning the past decade, so it’ll be quite some time before you watch everything they have to offer. But in the event you do, check out their podcast Dear Hank and John, where they talk about science, AFC Wimbledon, and answer a bunch of fan questions. Unfortunately, this channel is not full of cute videos of pandas. Instead, it’s home to a series of lectures by Brandon Sanderson. In fact, this series was a course taught at Brigham Young University during Winter 2016. If you’ve wanted to take a creative writing class from an expert, Brandon is the teacher for you. He goes over plot, characters, worldbuilding, and tons more, so novice and expert writers alike will gain knowledge from him. Robert McKee isn’t a channel, but a man whose name you need to search. His students have won numerous prestigious screenwriting awards, so you know he teaches well. Even if you aren’t a screenwriter, you can still learn a lot from Robert. There are tons of videos of him talking about character development, faulty dialogue, and so much more. I don’t care what medium you write in; you must watch Robert. 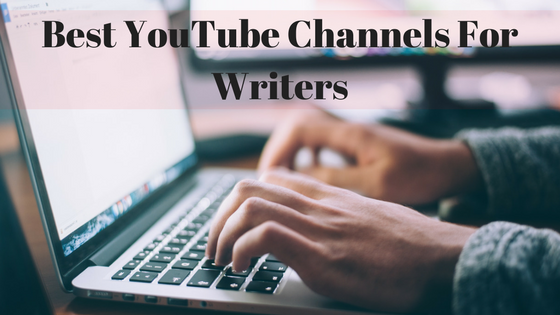 YouTube is a great resource for new and experienced writers to brush up on their skills. If you need some inspiration or help with a particular problem, check out these four channels and you’ll be sure to find what you’re looking for.